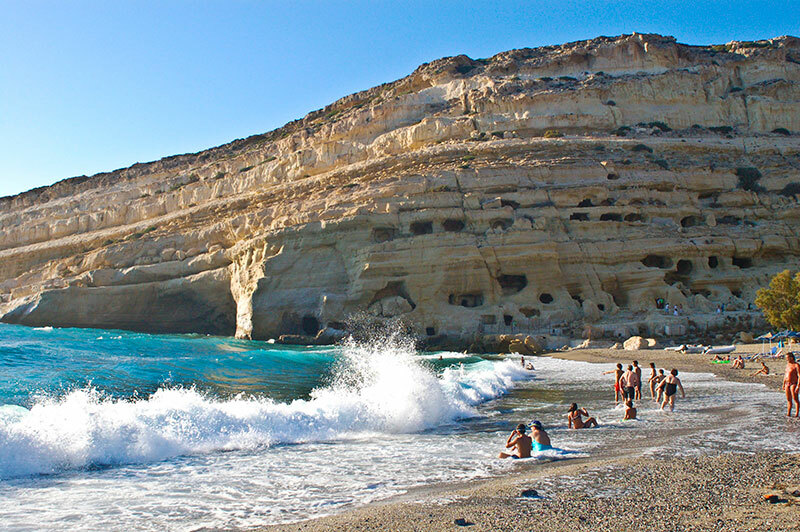 Matala beach is located at the exit of a small valley, where there is formed a large enclosed bay overlooking the islands “Paksimadia” as the locals call it. 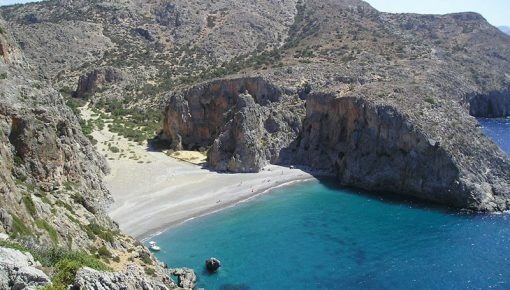 In front of the bay there is a wonderful sandy beach 300m length, with fine pebbles and crystal clear deep waters. The waves, due to frequent westerly winds, are very large and impressive. Also on the north side of the beach, there is a large cave, on top of which, some very adventurous visitors dive. 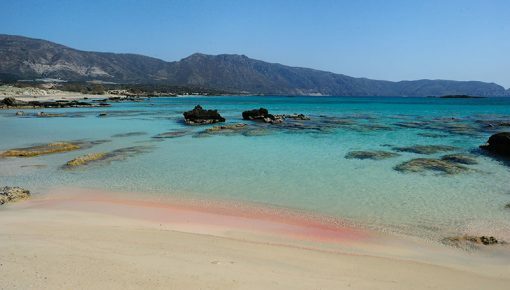 Looking for accommodation in Crete? 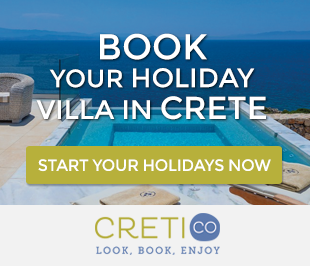 Check out our collection of holiday villas in Crete. The beach is organized with umbrellas, toilets, showers, lifeguard, first aid, golf beach volley, snack bars, water sports, excursion boats, etc. Often beach volley matches are organized. All around you will find many options for entertainment, food and accommodation. 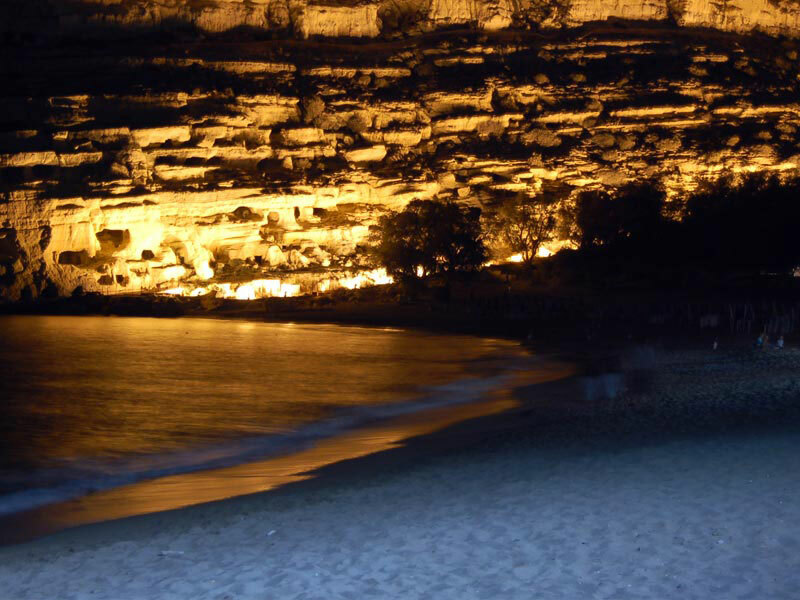 If you are missing wild fun during all day and night, just join “Matala Beach Festival” organized every year on the beach. There are also very nice traditional holiday villas in Matala. Also, a very large part of the beach is covered by trees, where you can find shade. In the evenings, the bars on the beach are crowded. You can come in Matala beach by taking the road to Mires and then follow the signs. 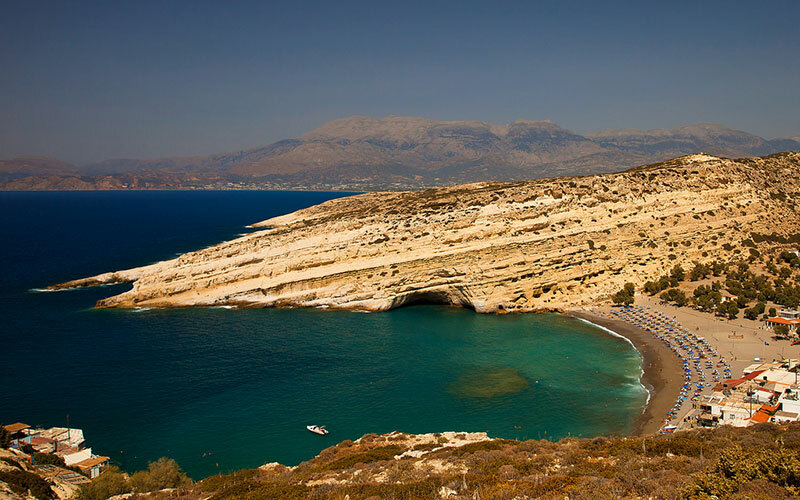 You could also combine your visit to Matala with a visit to Phaistos. There are also regular buses from Heraklion. The most characteristic feature of the area, are the many caves carved in soft white stone thousands of years ago and located in the northwest of the beach. There are also several caves underwater. 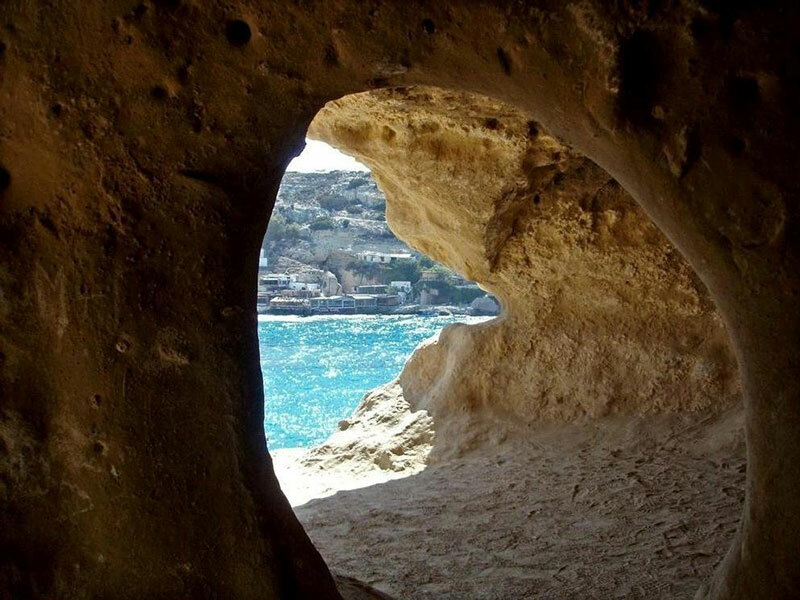 It is considered as certain that the caves of Matala beach were tombs of Roman and Christian Period. However, many of them have rooms, stairs, beds or windows. This is a fact that proves that the caves were used as accommodation in the prehistoric times. 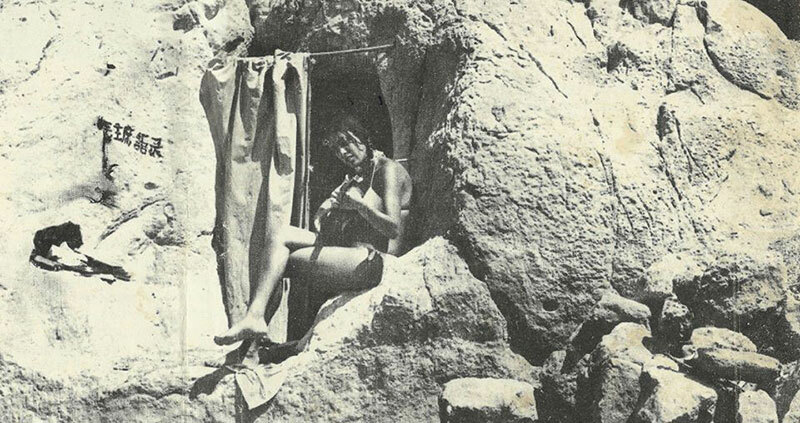 In these caves of Matala beach in Crete, the hippies found their paradise in the 60s and 70s. Thousands of them were gathered to express their ideas freely, to enjoy love and create. The trademark of the hippies was the two fingers of victory, accompanied by the words «Peace Man». At this period, there was absolutely nothing around, but the small fishing village of Pitsidia, so the sense of freedom was unlimited. Matala beach became so popular with hippies that attracted celebrities such as Joni Mitchell, Bob Dylan, Janis Joplin, Joan Baez and Cat Stevens. However, all this stopped abruptly during the Junta in Greece, when the Bishop of Gortyna expelled hippies. Then they were scattered in other parts of Crete (Preveli, Plakias, Lendas, Vai), but most went to Ios island, continuing their free life. 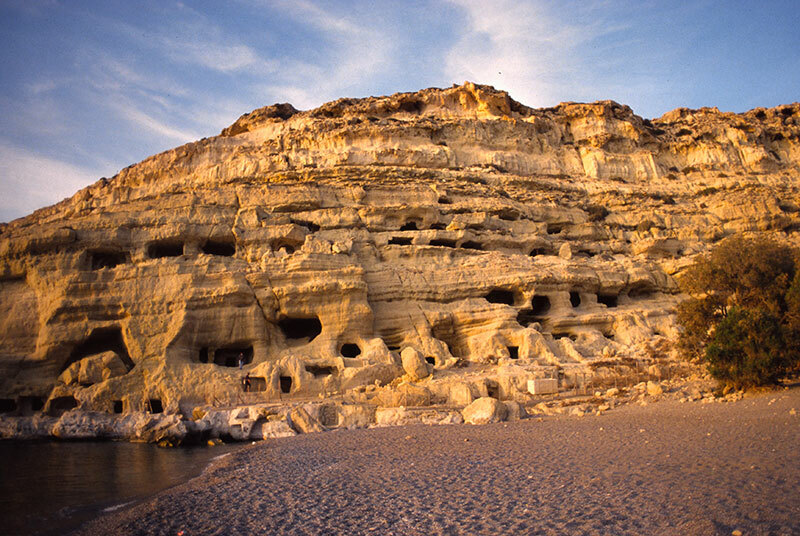 Matala then were proclaimed by Archaeology as a protected area. In recent decades, the area has grown rapidly and does not resemble anything in the atmosphere of that time. Today you will see thousands of people enjoying a swim at the beach and many to reminisce about past times. The caves can be visited free of charge, but the accommodation in them is forbidden. Along the coast there are other caves, natural, which are accessible by boat. Also, in the surrounding area, many archeological finds and wrecks have been found. According to the myth, the cape south of Matala is the point where the ships of Menelaos (Odyssey) wrecked. Southeast of the village, are the ruins of an ancient temple, and near the beach, there is a marble urn. As it is known, Matala were the seaport of Phaistos and Gortyn. Ruins of the ancient city have been found in the sea, but also palaces for the nobles have been identified nearby. Also on the other side of the village, on the hill Kastri, you will see the ruins of a fortress, called Koules. Finally, the old church of Virgin Mary emerges through the rocks, and was used as a catacomb during the Christian persecutions. This entire heritage has helped to integrate the surrounding area in the Natura 2000 program. Posted on 24 Apr 2015 in Heraklion and tagged Agiofarago Beach, Beaches In Heraklion, Best Beaches In Crete, Matala Beach, Pitsidia, Preveli Beach.